In 2013, he sang an impromptu improvisational performance at the Sunderland record store run by Frankie & The Heartstrings. Alongside members of Warm Digits, Field Music and 1990s and also played two shows at The Slaughtered Lamb in London, UK, accompanying Ben Watt on electric guitar. In 2013, new group Trans released the red EP, the first in a series of EPs for Rough Trade Records with Jackie McKeown, Paul Borchers and Igor Volk In February 2014, Butler played two lives shows with Watt at London’s St Pancras Old Church, preceding the release of Watt’s solo album Hendra. Butler also joined Watt on an eight-show UK tour in support of the album. Butler played again with Watt in November 2014 as part of the Ben Watt Trio. Butler also organised two special McAlmont & Butler performances to raise funds for The Bobath Centre’s work with children with cerebral palsy. The London shows at the Union Chapel and Islington Assembly Hall sold out, and the duo were accompanied by a full band that consisted of members of The Magic Numbers, Mako Sakamoto on drums and Sean Read on keyboards. Butler also created the soundtrack to the 1997 film The James Gang and played on the soundtrack of Velvet Goldmine, alongside Thom Yorke and Jonny Greenwood of Radiohead. Calan Mai or Calan Haf (“Calend of Summer”) is a May Day holiday of Wales held on 1 May. Celebrations start on the evening before, known as May Eve, with bonfires; as with Calan Gaeaf or November 1, the night before (Welsh: Nos Galan Haf) is considered an Ysbrydnos or “spirit night” when spirits are out and about divination is possible. The tradition of lighting bonfires celebrating this occasion happened annually in South Wales until the middle of the 19th century. Calan Haf parallels Beltane and other May Day traditions in Europe. Customs for Calan Mai include gathering hawthorn (Welsh: draenen wen, “white-thorn”) branches and flowers which villagers would then use to decorate the outside of their houses, celebrating new growth and fertility. In Anglesey and Caernarvonshire it would be common on May Eve to have gware gwr gwyllt “playing straw man” or crogi gwr gwellt “hanging a straw man”. A man who had lost his sweetheart to another man would make a man out of straw and put it somewhere in the vicinity of where the girl lived. The straw man represented her new sweetheart and had a note pinned to it. Often the situation led to a fight between the two men at the May Fair. Calan Haf would be the time to stage a mock fight between Summer and Winter. The man representing Winter carried a stick of blackthorn (Welsh: draenen ddu “black-thorn”) and a shield that had pieces of wool stuck on it to represent snow. The man representing Summer was decorated with garlands of flowers and ribbons and carried a willow-wand which had spring flowers tied on it with ribbons. A mock battle took place in which the forces of Winter threw straw and dry underbrush at the forces of Summer who retaliated with birch branches, willow (Welsh: helygen) rods, and young ferns (Welsh: rhedyn). Eventually the forces of Summer would win and a May King and Queen were chosen and crowned, after which there was feasting, dancing, games and drinking until the next morning. This is similar to the Green Man festivals held annually in Clun and many other places near the Welsh border. May Day was also the time that the twmpath chwarae or “tump for playing” (a kind of village green) was officially opened. Through the summer months in some villages the people would gather on the twmpath chwarae in the evenings to dance and play various sports. The green was usually situated on the top of a hill and a mound was made where the fiddler or harpist sat. Sometimes branches of oak decorated the mound and the people would dance in a circle around it. Dawnsio haf “summer dancing” was a feature of the May Day celebration, as was carolau Mai “May carols” also known as carolau haf “summer carols” or canu dan y pared “singing under the wall”, these songs being often of a bawdy or sexual nature. The singers would visit families on May morning accompanied by a harpist or fiddler, to wish them the greetings of the season and give thanks to “the bountiful giver of all good gifts.” If their singing was thought worthy, they would be rewarded with food, drink, and possibly money. Common drinks during Calan Mai festivities were metheglin or mead. Sometimes it was made of herbs, including woodruff, a sweet-smelling herb which was often put in wine in times past to make a man merry and act as a tonic for the heart and liver. Elderberry and rhubarb wines were popular and the men also liked various beers. The International Sunflower Guerrilla Gardening Day, takes place annually on the 1st of May internationally. During the event guerrilla gardeners surruptitiously plant sunflowers in their neighborhoods, typically in public places perceived to be neglected, such as tree pits, flower beds and roadside verges. Guerrilla gardening is the act of gardening on land that the gardeners do not have the legal rights to cultivate, such as abandoned sites, areas that are not being cared for, or private property. It encompasses a diverse range of people and motivations, ranging from gardeners who spill over their legal boundaries to gardeners with political influences who seek to provoke change by using guerrilla gardening as a form of protest or direct action. This practice has implications for land rights and land reform; aiming to promote re-consideration of land ownership in order to assign a new purpose or reclaim land that is perceived to be in neglect or misused. The land that is guerrilla gardened is usually abandoned or perceived to be neglected by its legal owner. That land is used by guerrilla gardeners to raise plants, frequently focusing on food crops or plants intended for aesthetic purposes.Some guerrilla gardeners carry out their actions at night, in relative secrecy, to sow and tend a new vegetable patch or flower garden in an effort to make the area of use and/or more attractive. Some garden at more visible hours for the purpose of publicity, which can be seen as a form of activism. 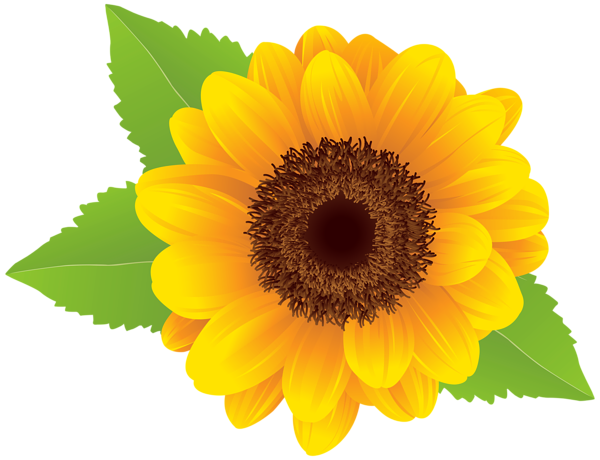 International Sunflower Guerrilla Gardening Day Has taken place since 2007, and was conceived by guerrilla gardeners in Brussels, (who go by the name of The Brussels Farmers). They declared it Journée Internationale de la Guérilla Tournesol. It has been championed by guerrilla gardeners around the world, notably by GuerrillaGardening.org and participation has grown each year since then. In 2010, more than 5000 people signed up for the event from North America, Europe and Asia.Although sunflower sowing at this time of the year is limited to relatively temperate parts of the Northern Hemisphere, this day is also marked in other parts of the world by planting plants appropriate to the season. The online organisation GuerrillaGardening.org was created in October 2004 by Richard Reynolds as a blog of his solo guerrilla gardening outside Perronet House, a council block in London’s Elephant and Castle district. At the time, his motivations were simply those of a frustrated gardener looking to beautify the neighborhood, but his website attracted the interest of fellow guerrilla gardeners in London and beyond, as well as the world’s media. Reynolds’s guerrilla gardening has now reached many pockets of South London, and news of his activity has inspired people around the world to get involved. He also works alongside other troops, some local and some who travel to participate. He has also guerrilla-gardened in Libya, Berlin and Montreal. Today, GuerrillaGardening.org is still his blog but also includes tips, links and thriving community boards where guerrilla gardeners from around the world are finding supportive locals. His book, On Guerrilla Gardening, which describes and discusses activity in 30 different countries, was published by Bloomsbury Publishing in the UK and USA in May 2008, in Germany in 2009, France in 2010 and South Korea in 2012. He regularly speaks on the subject to audiences and in 2010 launched a campaign focusing specifically on pavements as an opportunity, to ‘plant life in your street’. Many local branches have sprouted since, such as Leaf Street, an acre of land in Hulme, Manchester, England, that was once an urban street until turfed over by Manchester City Council. Local people, facilitated by Manchester Permaculture Group, took direct action in turning the site into a thriving community garden. Another example is Kew Bridge Eco Village, London, England which was created after land rights activists moved on to a derelict piece of land near Kew Gardens in West London. Kew Bridge Eco Village started as a small community of squatters who grew vegetables and built basic wooden dwellings on the land.